Mass of Images engages elements of both performance and video art to address myriad racial stereotypes of African Americans in the media. 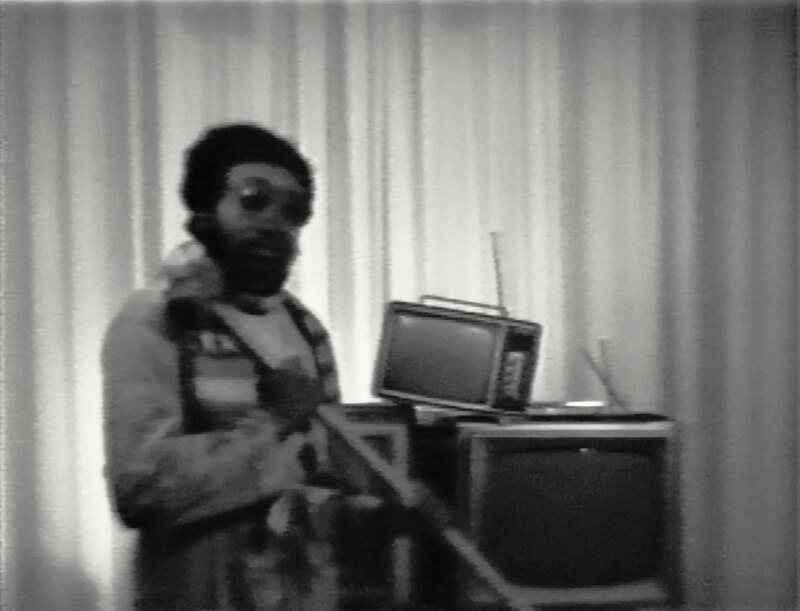 Using blurred black-and-white film accompanied by a low humming sound, Jenkins employed exaggerated staging to mirror the ridiculousness and prevalence of stereotypical images. Blatantly racist images, such as actors in blackface, fill the screen, accompanied by the declaration in voice-over, "You're just a mass of images you've gotten to know, from years and years of TV shows." Jenkins's juxtaposition of this unfortunately valid statement with racist imagery draws attention to the media's role in perpetuating bias and also questions the future impact of media imagery on black American identity. "Mass of Images." Now Dig This! Art in Black Los Angeles, 1960–1980 Digital Archive. Los Angeles: Hammer Museum, 2016. https://hammer.ucla.edu/now-dig-this/art/mass-of-images.